Although his title is Manager, still, bright and early every day, John Henry is in the bakery overseeing and mixing his special (and secret!) formula for his famous apple cider donuts. 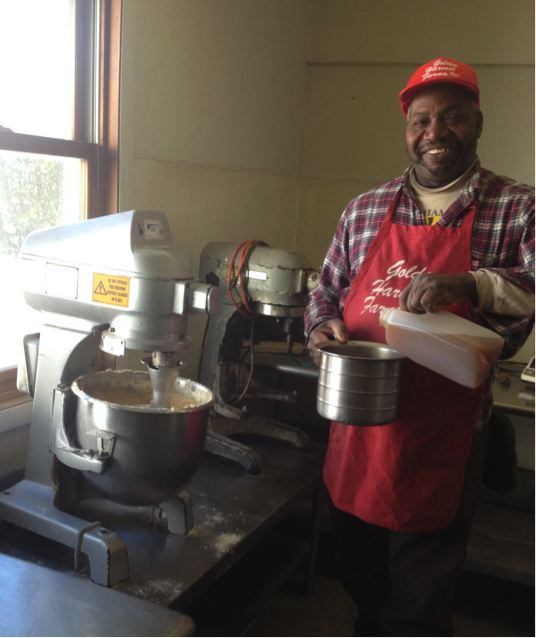 Our long-time customers know that John wears many hats at Golden Harvest. Besides managing the bakery, John buys all our fresh produce. His longstanding relationships with local vendors and farmers ensure that our shelves are always well stocked with high quality produce. Another big job for John is keeping track of the apple inventory in our refrigerated storage rooms. If he isn’t hand-packing apples at the Roadstand, he can often be found around the back, loading bins of apples with a forklift into trucks for shipping. John and his wife Maureen have lived on the farm since about 1980 and have been US citizens for over 25 years. Their son and daughter and granddaughter live in Jamaica but come to visit periodically. Until she had children Tina worked in a law office. She did seasonal work picking apples in another orchard, Stahlmans’, which is no longer in operation. 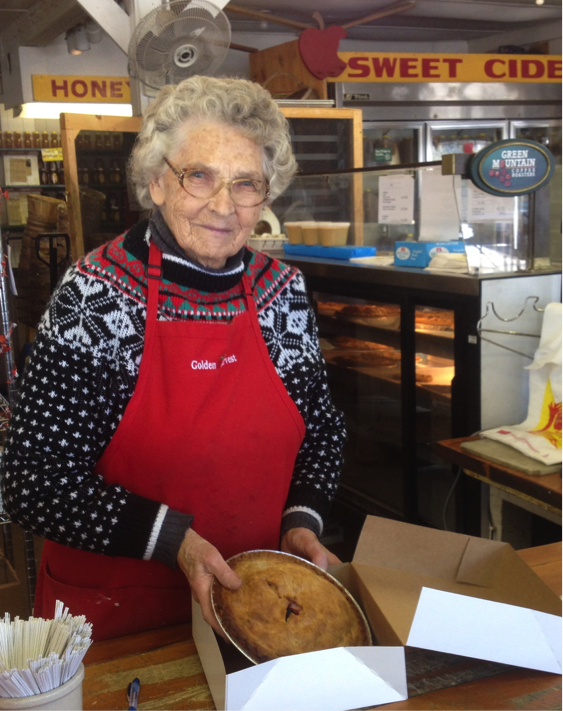 She came to Golden Harvest planning to pick but found an opportunity in the Roadstand. She’s not sure what year that was but she recalls that the youngest Grout son (now all grown and the father of 4!) was around 4 or 5 so it would have been around 1980. A lot of what Tina does is behind the scenes, quietly taking care of the details that no one notices until they aren’t taken care of. Helen Crouse was born and raised in West Taghkanic and is a graduate of Martin H. Glynn high school. She and her late husband Don were married 60 years, living in Stockport. 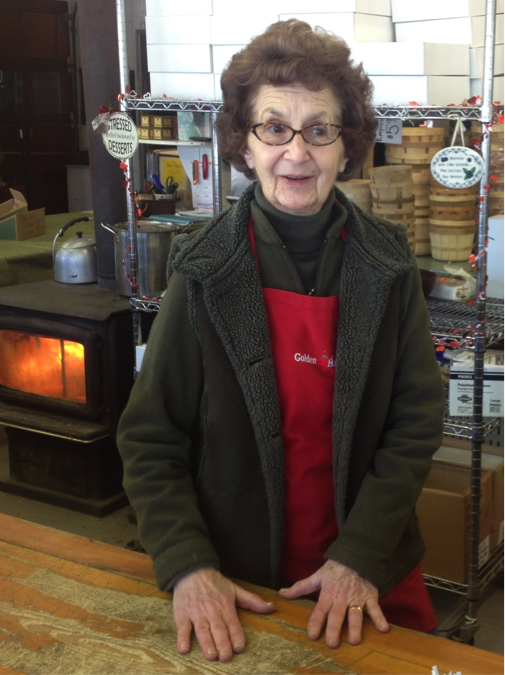 For many years, she and Don had a heating oil business and other businesses. Their 2 daughters live in our area: one is a teacher and the other an insurance agent. Helen loves to brag about them, and about her 3 grandsons, all of whom are college graduates. 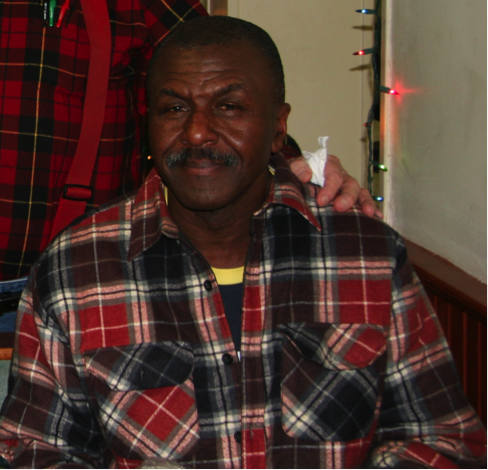 When Cornelius Murray came to Golden Harvest as a seasonal apple picker in the early 80’s, at 6′-7″ he stood head and shoulders above everyone else, literally. But it wasn’t only his height and his skill at picking apples – it was Cornelius’s understanding and feel for the trees themselves that really set him apart. Before long he was offered a permanent position at the farm. 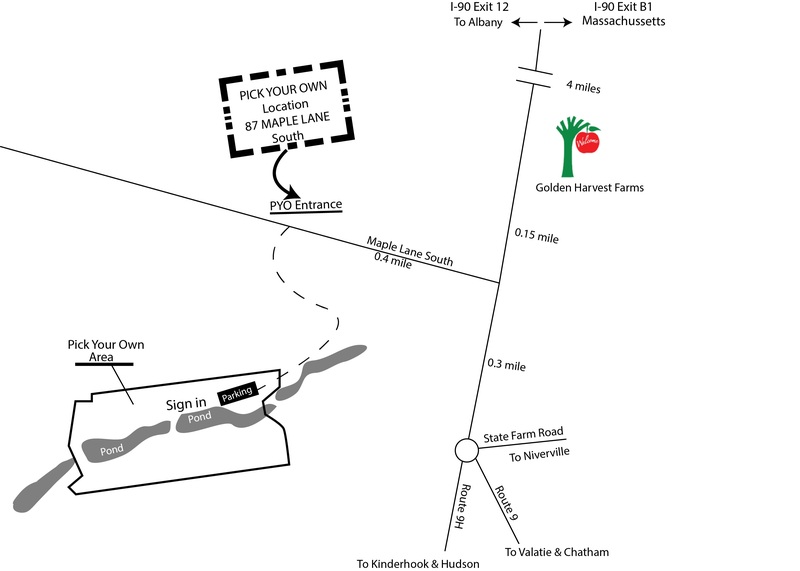 Ever since, Cornelius has been watching over the trees at Golden Harvest almost non-stop, which is a good thing for us because caring for orchards as large as ours is truly a year-round job. In the fall, Cornelius manages the harvest crews, which sometimes number up to 70 workers! During peak harvest, picking goes on from first light into the evening hours, making for long days. Cornelius sees that the apples are put into cold storage as soon as they are picked. He also makes sure that the crews are trained in all farm procedures, and that they are aware of safety regulations. In addition to his critical orchard duties, Cornelius oversees the cider production, another year-round job. He helps coordinate loading trucks shipping apples and maintaining current apple inventory in our cold storage rooms. We at Golden Harvest feel very lucky to have such a talented, dedicated and versatile orchard manager as Cornelius. In fact, his tireless work ethic and his long-term contribution to the farm’s well-being is the reason why Harvest Spirits’ on the farm distillery has named one of their premier products after him — Cornelius Applejack! 15 years ago, John Margan was working his route for UPS throughout the Valatie/Kinderhook area. One day that fall, as he was making a delivery to Golden Harvest, he struck up a conversation with Helen Crouse (profiled in the February 2014 newsletter). He told her, “You know, this is the kind of place where I’d like to work, after I retire from this job.” Her reply was: “Well, what are you doing tomorrow?” which happened to be a Saturday… The rest, as they say, is history. After his retirement from UPS, John continued as weekend manager at Golden Harvest, while also taking a weekday job, as a security officer and shuttle bus driver, at the College of St. Rose to help with tuition for his sons Eric and Adam. (Adam has also worked some weekend hours at the Roadstand in the Fall). John trains and coordinates the student staff at the Roadstand which can get exceptionally busy in the summer, during the harvest and at Pick Your Own time. To give himself a change of pace, he also plants and tends his strawberry patch to provide the spray-free strawberries for sale at the Roadstand. Civic duty is important to John as well and he is an enthusiastic and active member of the Kinderhook/Valatie community. Besides serving on the village ZBA (Zoning Board of Appeals) for ten years, John, with 2 friends, Gary Van Allen and Jim Tansey started the Kinderhook 5K 15 years ago. The race started with 100 runners and has grown to 700! Funds raised go right back to the local communities and support the library, rescue squad, fire station, high school cross country team, etc. Golden Harvest continues to be a sponsor of this exciting event. John has been an active supporter from the beginning of Columbia County Bounty (now expanded to Hudson Valley Bounty) and he also coordinates efforts with the Columbia County Fruit Growers and Cornell Cooperative Extension at the County Fair. 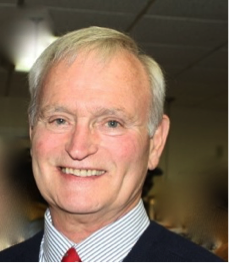 John has been an active member of Kinderhook Elks Lodge for 38 years; he served as director of the soccer program for 8 years serving over 250 local youngsters from the Chatham/Kinderhook/Valatie area. Any free time John can find is spent lovingly restoring his 1966 Ford Thunderbird with a 390 engine. John bought it 38 years ago from its only previous owner. He and Tony DeFrancesco of 9/20 Autobody have gradually restored it to mint condition, a 7-year labor of love. John grew up nearby on a fruit and dairy farm in Germantown. As a kid, John worked on the farm of the pro-golfer Gene Sarazen, Grand Slam winner and inventor of the sand wedge. John and his wife Doreen have lived in Kinderhook since 1981. John knows nearly everyone in the local region and he’s eager to strike up a friendly conversation with new customers. Cheryl is a transplant from Manhattan 15 years ago, where she ran the office for an architectural firm and did all her work inside a building. 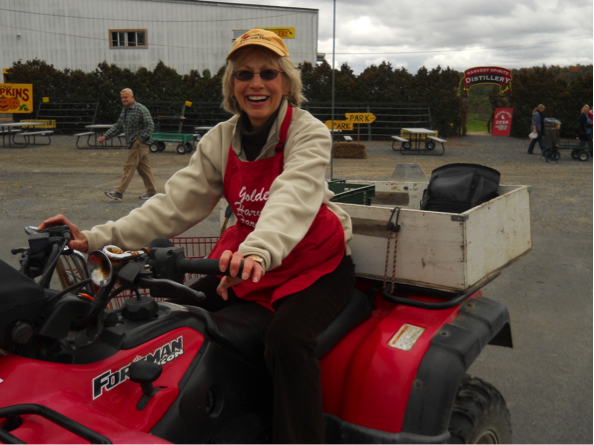 One year she helped out with PickYourOwn and, in her words, fell in love with the “vibe.” – meaning the orchard, the apples, the traditions, the tractor rides, the weather- rain or shine, the families and friends who come to enjoy all those things, too. She calls it the best job there is. All fall you’ll find her greeting people in the orchard or riding around on her quad or golf cart, generally seeing to things in the orchard to ensure everyone is having a good time. Occasionally you may see her in the Roadstand during the winter season. Current owner and general manager Alan Grout is originally from Waterbury, Vermont, the headquarters of Ben & Jerry’s ice cream and Green Mountain Coffee. Alan has fond memories of snowy Vermont winters and the sugar maple forests where he made maple syrup with his uncle and brother. Alan studied veterinary medicine at the University of Vermont, and continued his education at Cornell University’s College of Veterinary Medicine, where he earned a DVM. He was married to Jayne Zinke, who grew up at Golden Harvest. The young couple spent a year doing development work in Haiti, at the Albert Schweitzer Hospital. Alan was one of the only western-educated veterinarians on the island. After returning from Haiti, Alan worked for a time at the Cornell veterinary school, then attended the University of Michigan where he earned a post-doctorate degree in public health administration. Returning to Cornell, he worked for a time as Assistant to the Dean of the Veterinary school before accepting a position as Veterinarian in Charge with the USDA, traveling and inspecting meat and poultry plants throughout the Midwest and Northeast. Alan first visited Golden Harvest around 1960. 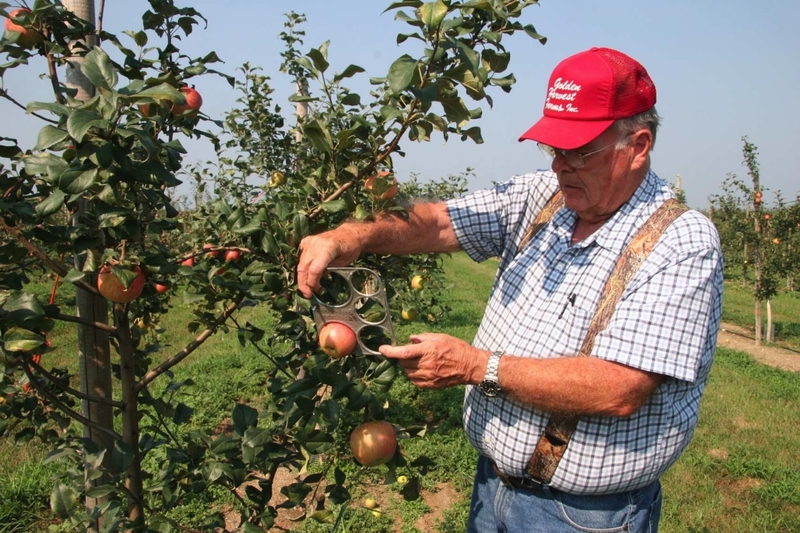 In 1975, wanting to spend more time with his four sons (soon to be five) and to raise them in a wholesome environment, Alan decided to switch careers and become a full-time apple farmer. As owner and general manager of Golden Harvest Farms since 1981, Alan has always worked to expand and diversify the farm’s operations. He attributes the success of the farm to his great team of seasonal and full-time workers, some of whom have worked here since the early 1980s.